This wonderful vintage wooden ring box would make any ring gorgeous. 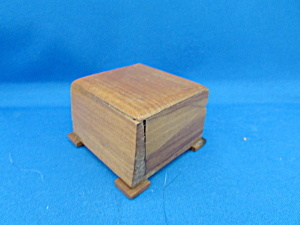 Box is 2 1/4" and 1/2" tall. Satin inside lid has "Genuine Apple Blossom" on the inside. In excellent condition.